Simple beginnings and fine craftsmanship are the marks of this month’s update. Enjoy and be inspired, and get out of that armchair and get working on your own micro. We’d love to see it! 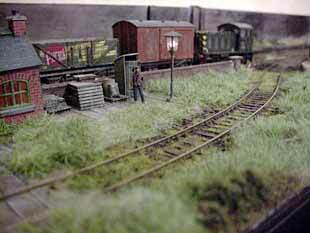 He continues: “The layout is 5′ by 10”, and has a cassette fiddle yard, small station, goods yard and a quay contained in that space. The baseboard, fascia boards, and backscene are all built of foamcore board which is mounted on top of the chipboard surface of the ironing board. 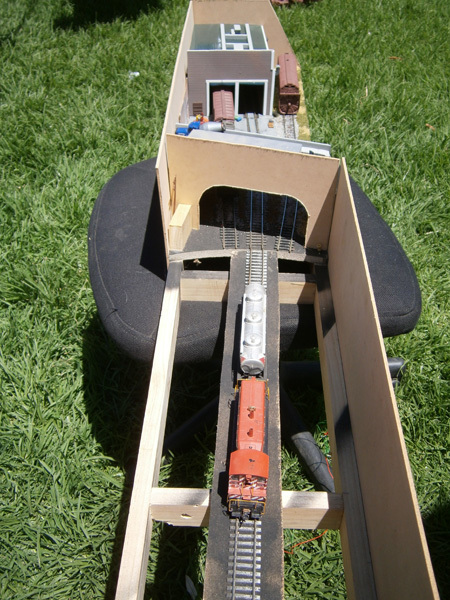 Track used on the layout is Tillig HOe which is operated by wire in tube from the rear of the layout. 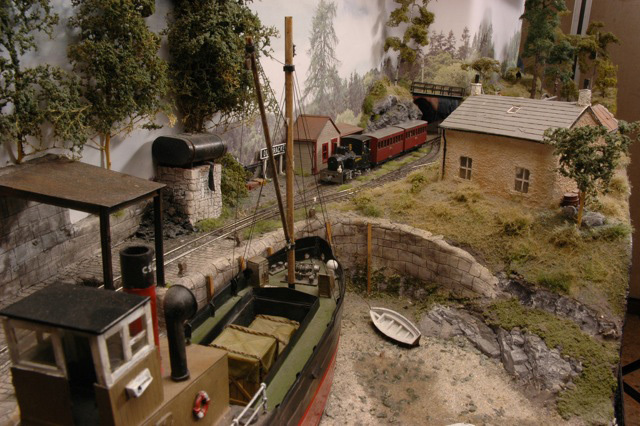 Scenery consists of various grass textures (including carpet underlay), Woodland Scenics rock moulds and water products, and scratcbuildings. 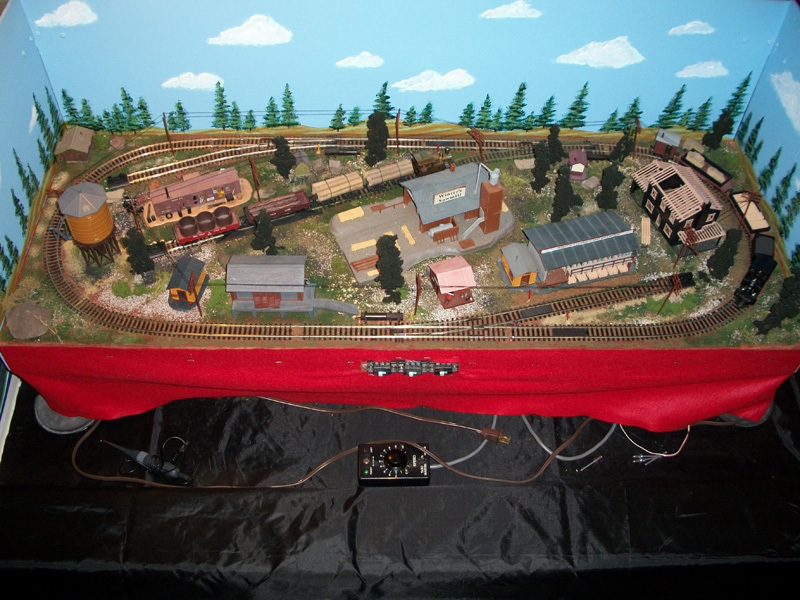 The layout has been used to test out DCC using the Gaugemaster system. 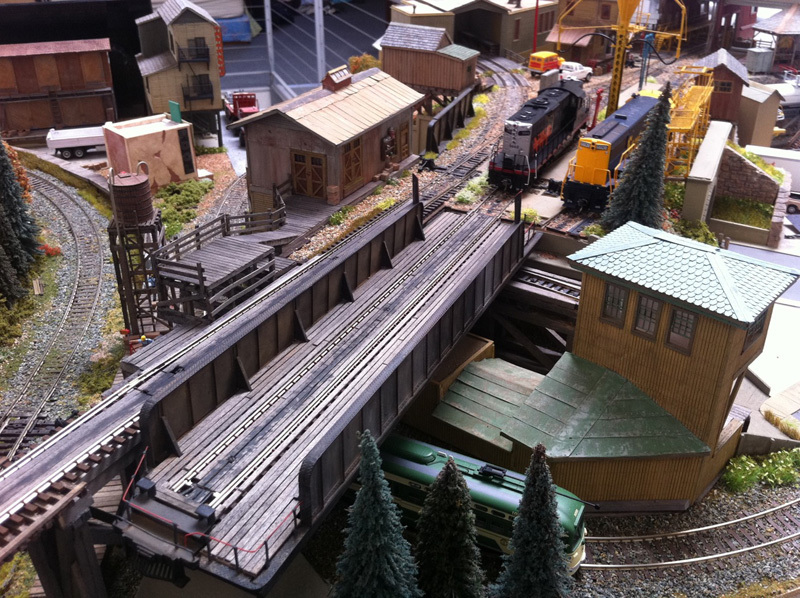 Tom says the layout has proven to be quite a conversation piece at exhibitions when people realize what the layout is built on. 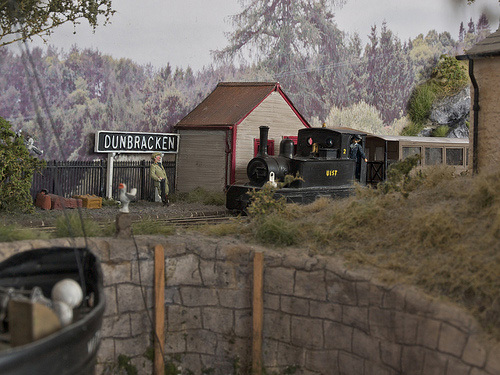 You can find more information on Tom’s layout at hlrco.wordpress.com/dunbracken. To view some of the construction process, you can visit ngrm-online.com/forum/viewtopic.php?f=16&t=13. 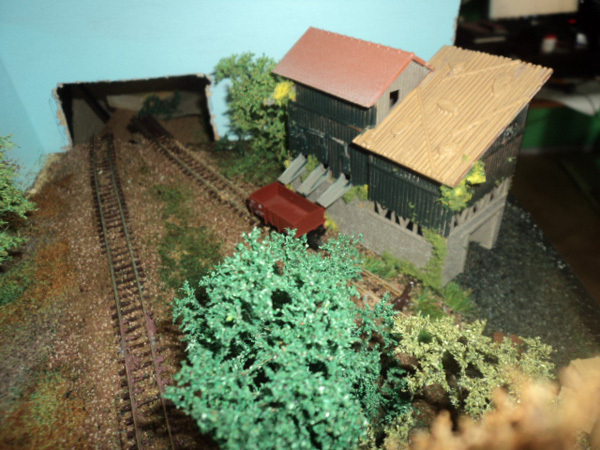 Alexander van der Donk, from the Netherlands, writes: As I am always looking at the site for small layout ideas, I have tried to build my own realistic layout based in German country during the periods of the 50s up to early 70s with small steam and diesel engines. From Mark: “Like many others, I had always got to a stage where the larger layout I was working on just didn’t quite make it for any number of reasons. After discovering this website I started tinkering. Granault Engineering is the result. A little inspiration also came from Julian Andrews’ Yard 6 recently described in an article in Continental Modeller (A UK magazine). Having seen articles on Carl Arendt’s micro layout web site and articles in the modelling press relating to box file layouts, Martyn Mullender of Dorset, UK, decided have a go at building one, but I set a limit of recycling as much as I could from the equipment, buildings and scenic items he had acquired over the years. 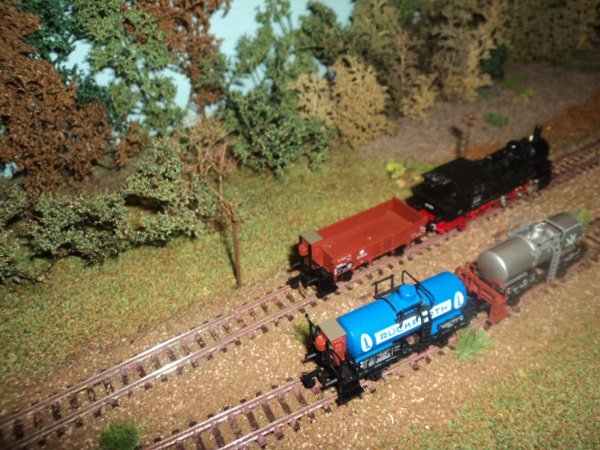 He only need to purchase a bit of track to complete the layout. 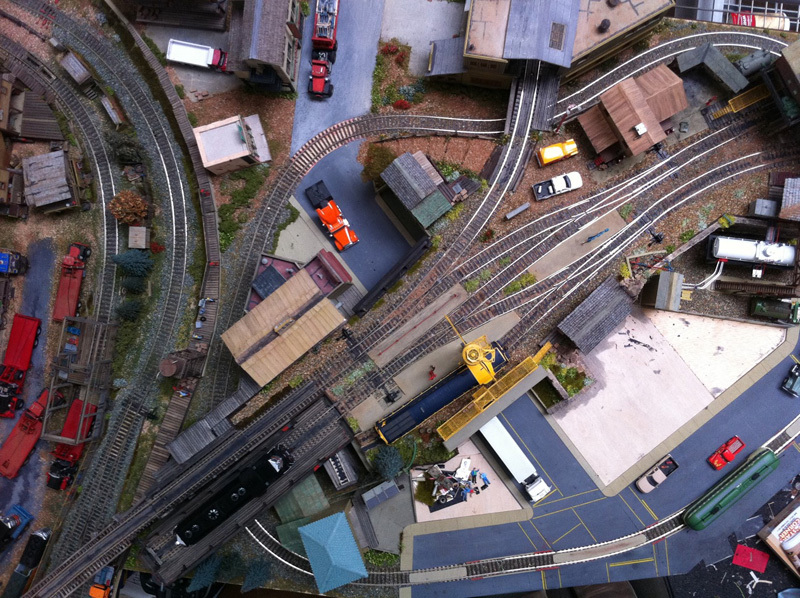 He writes: “Initially the layout used just two box files and recreated a well known micro layout plan called ‘Carl’s Exports’ and in its initial stages was featured on Carl’ website in January 2008. The layout is loosely set in the area south of Kings Lynn in the heart of the Fens. We look forward to new updates, Paul, as you progress! 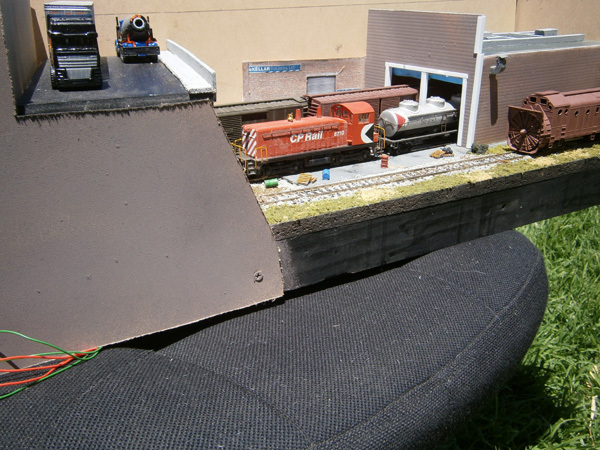 A unique feature (at least to the editor) of this layout is the clever use and detailing of the sector plate, which blends right into the scene. Nick adds: “The sector plate works fine. Its operated by a hand throw mechanism, mostly hidden in a small building, which I’ve detailed to be a sand shed.